Office furniture supplies are actually needed for the operation of modern enterprises,reflect the corporate image and marketing, because to reflect the corporate culture, spirit, taste, scale and economic strength, so the purchase of office furniture supplies are also important. 一、Office furniture supplies uses low fuel level materials. ,plastic plate minimum horizontal smoke release, reduce smoke inhalation, plastic plate won't drop out glue and sap, relief the burn of opportunity. 2) furniture screen system: aluminum wire distributing groove, PVC conduit, steel frame of screen and interface, prevent electromagnetic interference and wire winding is not clear, relief for electrical fault and the opportunity to cause fire, reduce the occurrence chance of fire. 二、Cost-effective, can be disassembled and assembled. 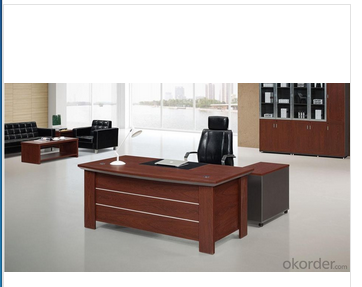 三、Three, identify the green environmental protection office furniture supplies: 1, look for the green signs. 2. Smell -- no place to hide in the pungent smell. 3, ask - to understand the background with more. 4, cutting edge effect -- tight. 1) The standard board is a particleboard for the substrate surface by "melamine" professional processing, a wear-resistant, anti-carved, high temperature resistant, easy to clean, acid and other advantages of the composite trim, the English referred to as MFC, MFC widely adopted as furniture, office furniture and kitchen furniture main timber. 2) particleboard from Europe, more than half a century of history, is one of the chipper processed by high temperature and pressure from the composite sheet, with easy deformation, surface roughness, stable physical properties of wood and other natural features not found. 3) the standard moisture board is the European manufacturing. 4) standard plate surface of the melamine tissues, all by standard group in Europe developed, quality was significantly higher than average, prices are also slightly different, consumers can easily make the distinction.